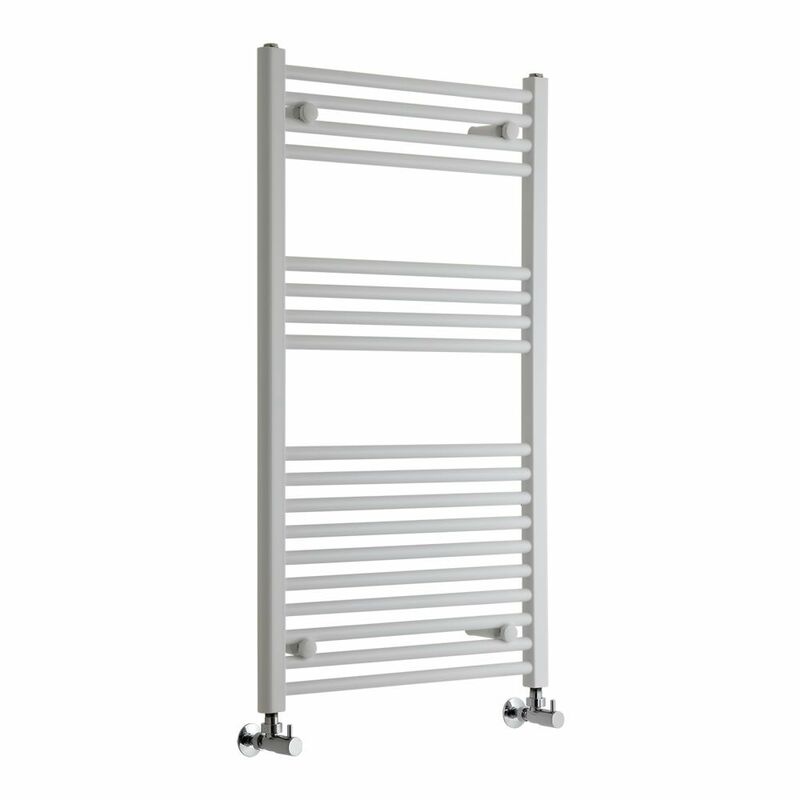 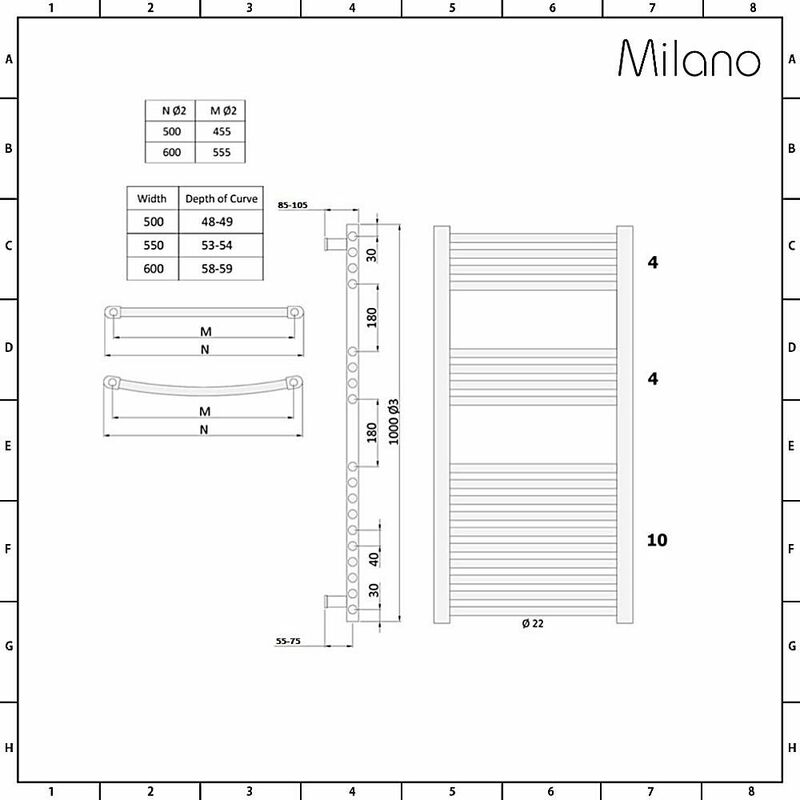 The Milano Calder heated towel rail is a stylish and versatile towel radiator with a clean white finish that will create a fresh look in any bathroom. Its ladder design and 1000mm x 600mm measurements offer plenty of room for hanging large bath towels and other items you want to keep warm and dry. 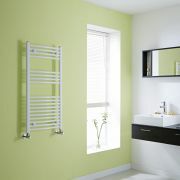 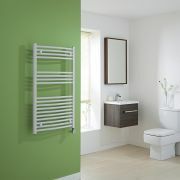 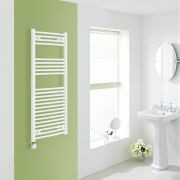 This towel radiator also has a stylish design which is elegant and timeless, and will complement bathrooms of any style. 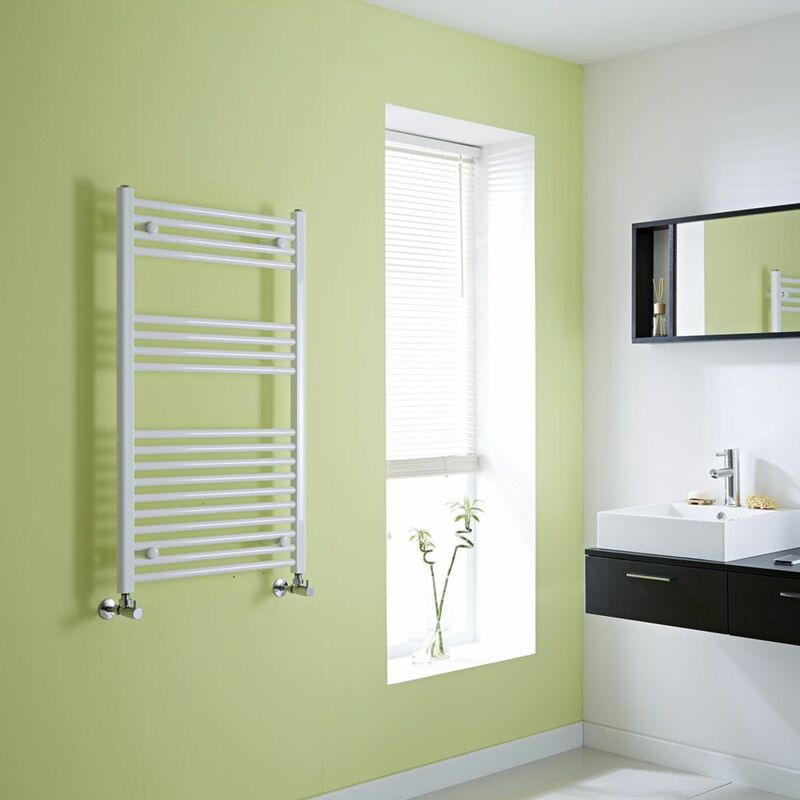 The hourly heat output of this model is a superb 2,293 BTUs, which will effectively heat towels through and keep the bathroom welcoming and snug. 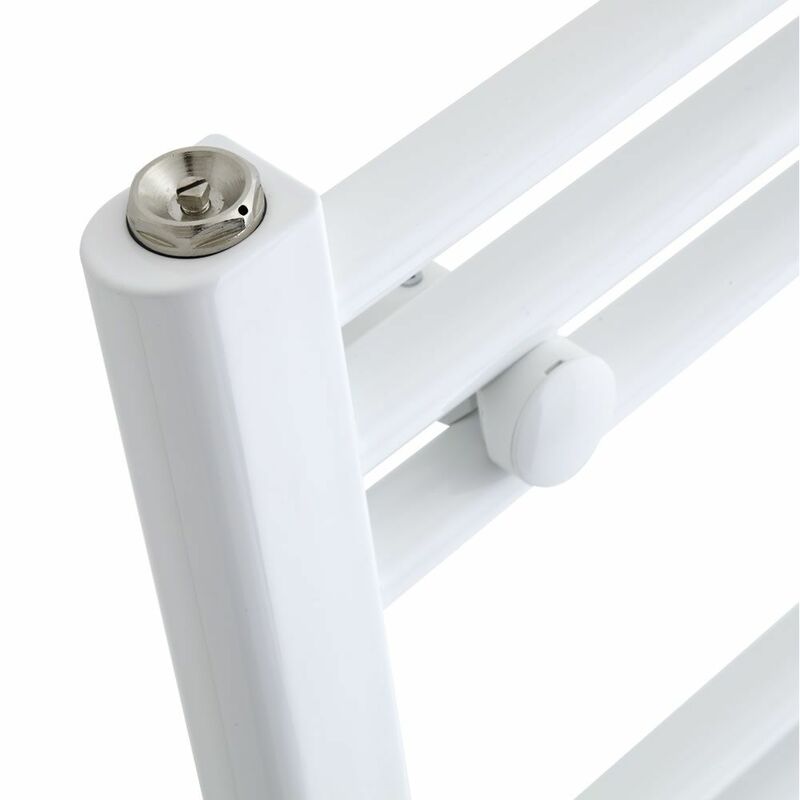 With robust construction and resilient white powder coat finish, this towel rail is built to stand the test of time. 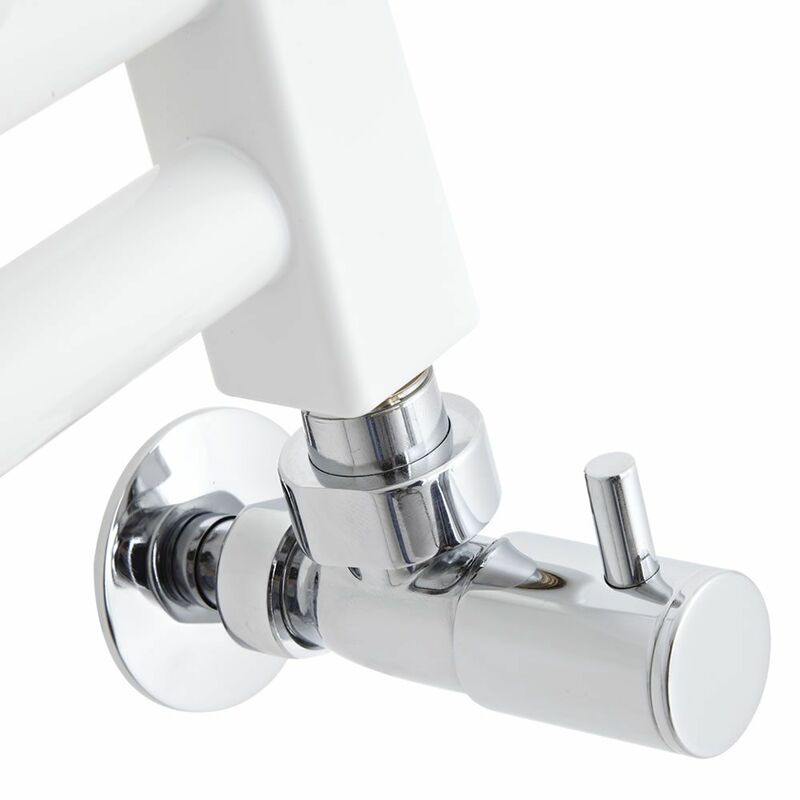 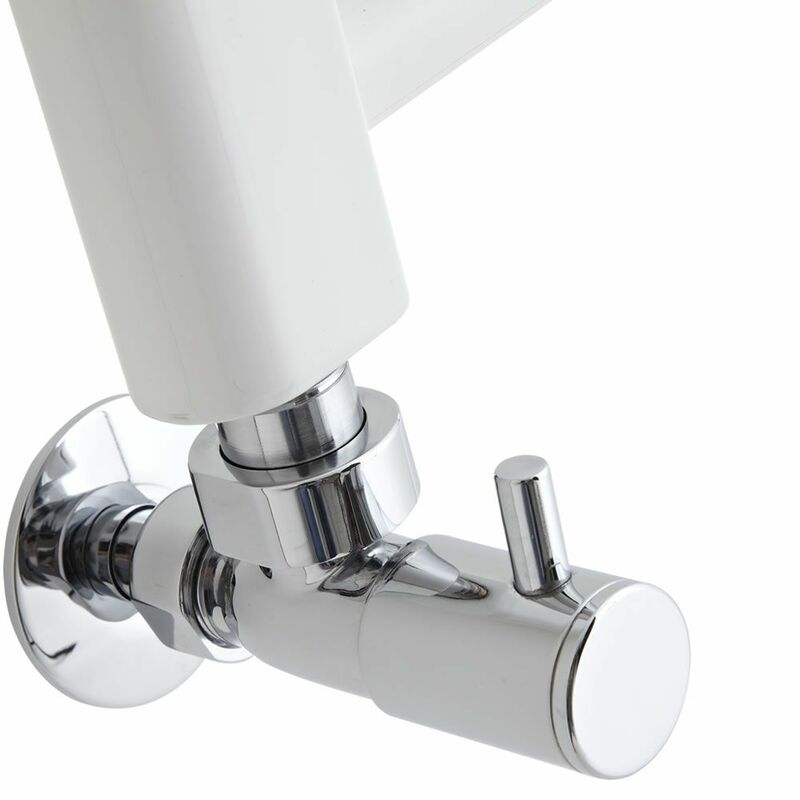 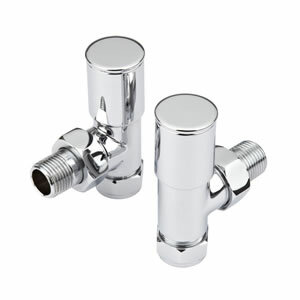 Please note that once you have selected the valve type you require you are not restricted to the straight and angled valves pictured, all valves from the BigBathroomShop.co.uk collection will fit this towel rail so the choice of model is down to your personal preference.